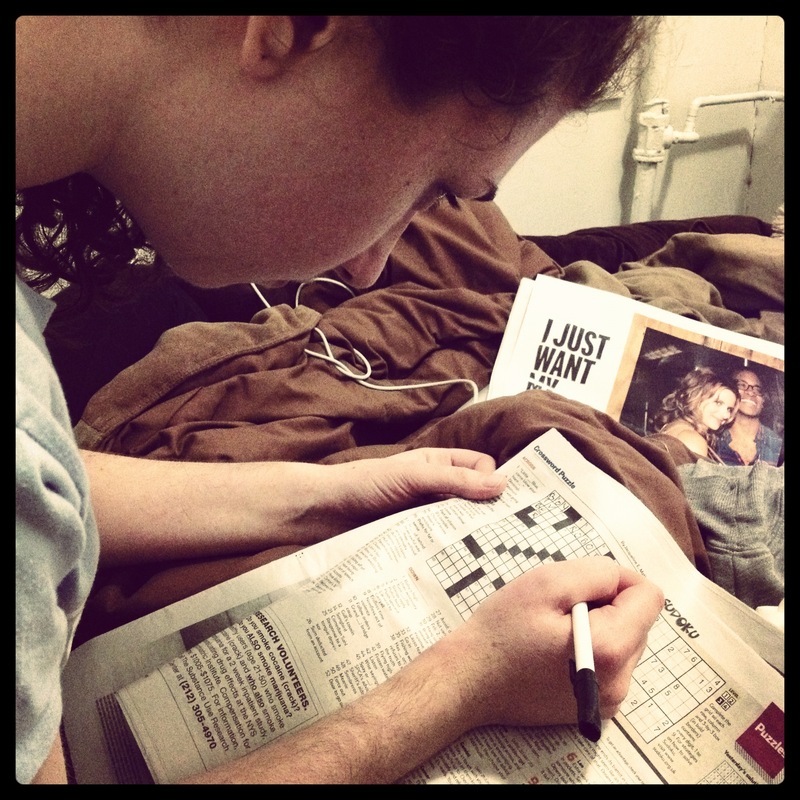 1) On Friday, Ali and I met on the LES to go to a bar & see a show. Yet once we got there, neither of us wanted to drink or pay $10 to see the band, so we decided to walk home. Over the bridge. Here I am “modeling” with Flat Stanley. 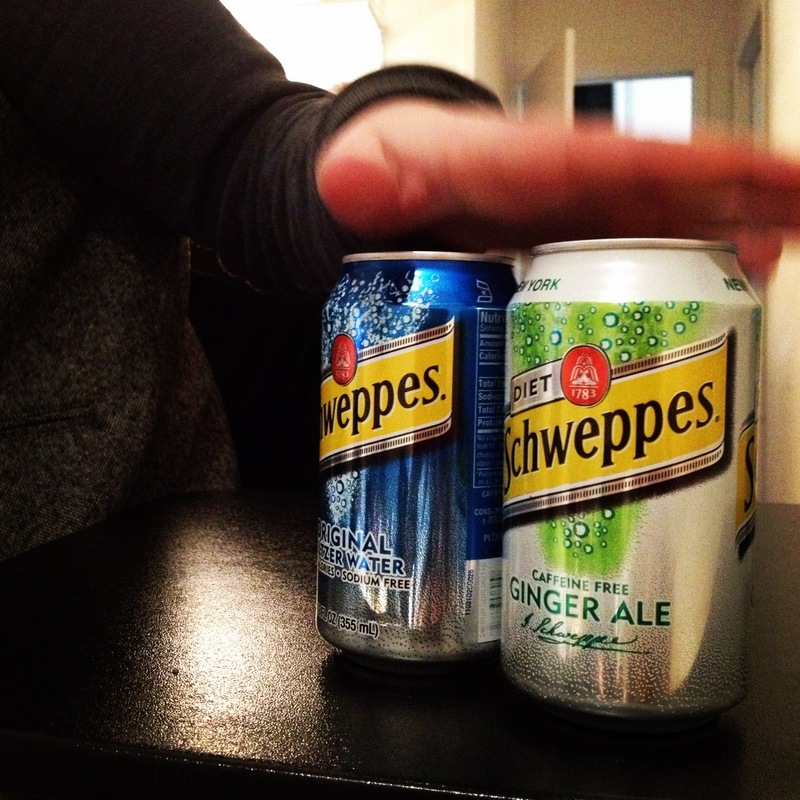 2) The two of us are also on a seltzer/diet ginger-ale kick. It’s bad. And too good. We brought over our own “six-pack” for the Superbowl last week and kicked back with some carbonation. 3) I often stop by a certain deli on my way to the subway to grab a seltzer, granola bar, or piece of fruit. 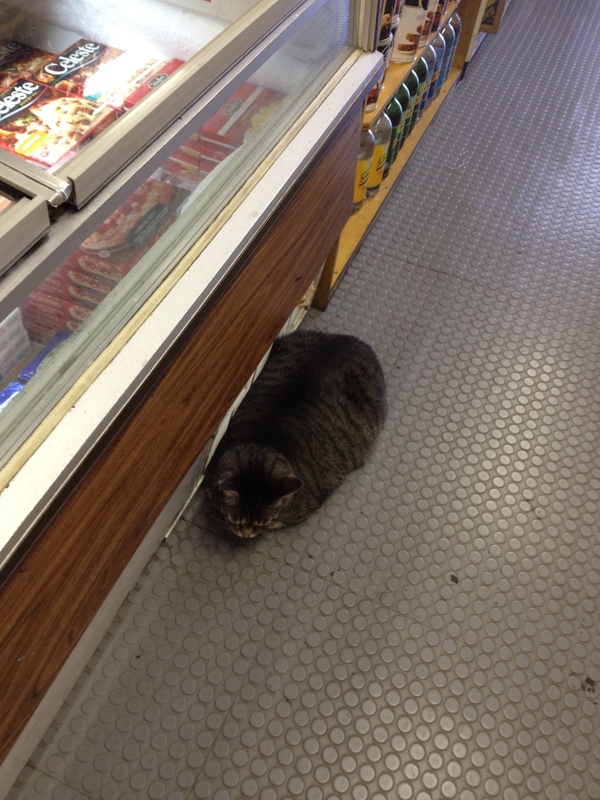 And from time to time, this little cat often greets me as I make my purchase. What a life. 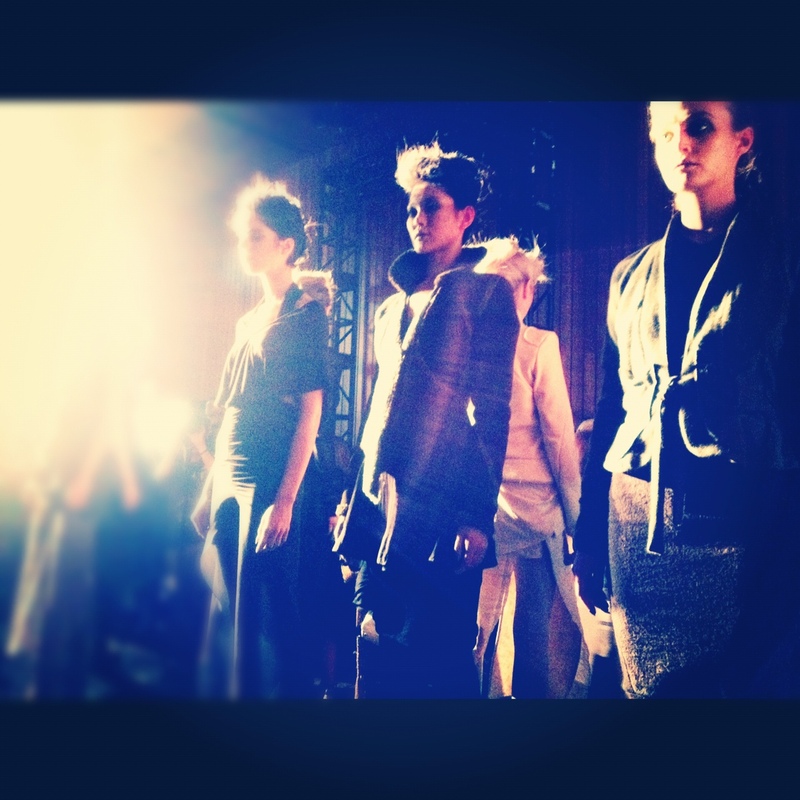 4) My best friend Danielle was chosen to shoot for Fashion Week, because she is baller. And amazing. Here is one of her instagram photos. I can’t wait for her to become famous. 6) I did not have a lick of alcohol this weekend, but probably only because I had my fair share w/ my partner-of-crime on Wednesday. What was supposed to be a quick “grab a beer and catchup” at our local bar quickly turned into way too many free shots of tequila (after I ironically wrote an article on the health effects of binge drinking). Woops. 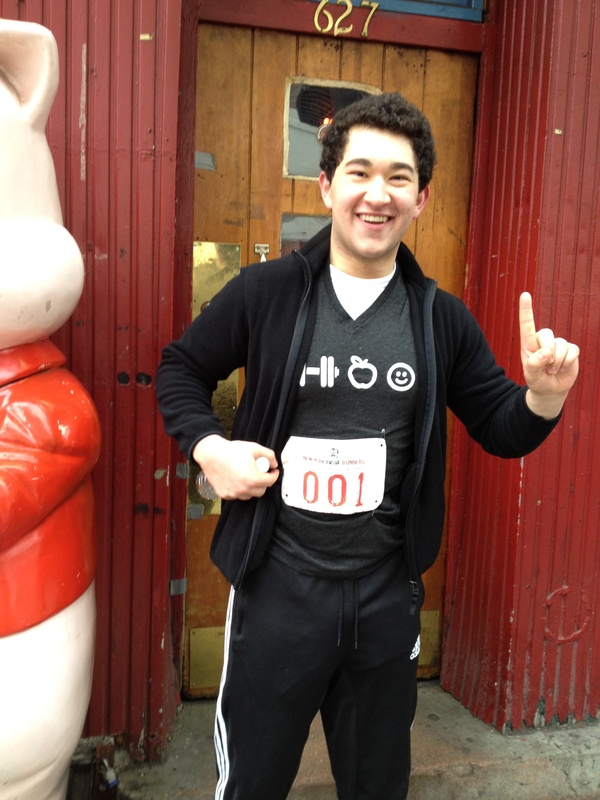 8) This weekend, I also had the pleasure of helping ref the New York Rogue Runners Hot Dog Challenge. The race? A 3-mile course that involved stopping at eleven hot-dog stands. Eleven. And eating a hotdog at each one. I recruited my friend David Tao, because although he is not really a runner, he is an eater. And you know what? He beat everyone. And won $250! He’s a Greatist! Posted on February 12, 2012, in Uncategorized. Bookmark the permalink. 1 Comment.